As elections are nearing for November 2nd, more and more campaigning is going on and it is everywhere a person goes. To get away from campaigning or news about campaigns or candidates, someone would have to “unplug” from society. However, voting is one of the most valuable and important rights as an American and although it does seem one candidate is saying one thing and another turns and says the exact opposite, the process is an important part of the ultimate outcome, your vote. As an American, of legal voting age there is a big responsibility of being involved in the decision being made in your district, state and the country. Many decisions will have a lasting effect for a vast amount of people for a very long time, often generations. For instance, the ability to vote was not granted to women until 1920 and African Americans were not fully able to vote until 1965 after Lyndon B. Johnson signed the Voting Rights Act. Voting is not something that should ever be taken lightly because it has taken a great deal to have the freedom to vote. People in many countries do not have the freedom to vote and often times in countries that allow voting, not all citizens are allowed to vote (most often women). 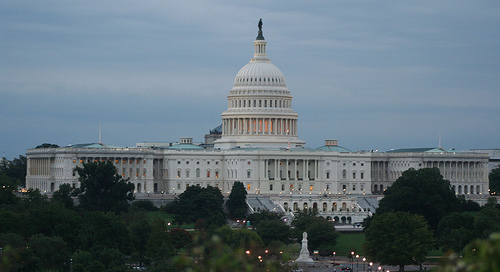 The United States holds Federal Elections every two years. Every member of our House of Representatives and nearly one-third of the senate is up for either re-election or replacement on the first Tuesday after the first Monday in November. 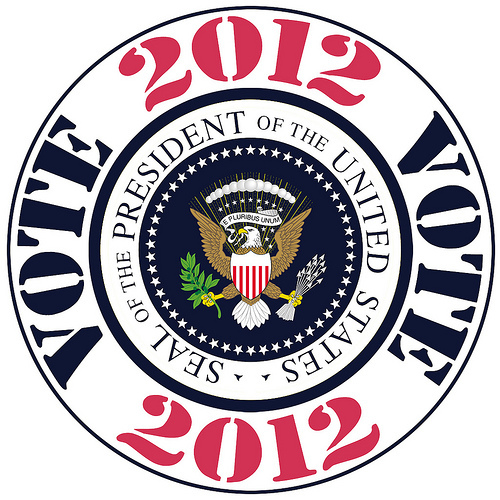 Our presidential election takes place every four years and is watched internationally. In the U.S. we have numerous political parties and more continue to be organized. In office at the moment is the Democratic Party. By visiting democrats.org a person can learn more about the Democratic Party. There is a quote from John F. Kennedy on their site. The Democratic Party has this statement on their website as well. When going to the RNC (Republican National Committee page), which leads to gop.com, there is an area called “who we are”. It is lengthy so the link is there to click on and read. A few things I picked out most from reading the “who we are” section though is the mentions of past presidents that were republicans because times have changed, parties have changed. Although the republican party of today may honor a past president does not mean those presidents would stand behind how their “party” is running things today. Of course, one could say the same thing of past Democratic presidents but the GOP website and party takes pride in talking about its past presidents so I am mentioning this. Also, a disturbing fact is that the Republican party itself (of yesterday) did have a great deal to do with freeing slaves thanks to Abraham Lincoln and those that helped push the laws through that led to voting rights. Due to continued discrimination in many areas, especially the south, Lyndon B. Johnson, in conjunction with the Civil Rights Movement, was able to convince congress to pass the Civil Rights Act of 1964 and in 1965 passed the Voting Rights Act which outlawed discrimination in voting. This would finally allow many southern blacks to begin voting for the first time. This may be something that was totally overlooked but even so, it is something that shouldn’t be overlooked by any party that is expected to be representing all of America. In their “A Pledge to America” agenda book, there are no minorities pictured. If there are, they are in some back corner somewhere and very hard to find. It seems to represent just a part of America. There are a good amount of pictures so there were plenty of chances to represent all of America and all the diversity America represents. Their pledge to America should be speaking to all voters unless they aren’t targeting their votes or not planning to work to assist the needs of minorities. Take a look. With voting as not only a privilege but also a responsibility, a lot of emphasis is placed on elections. As years have gone on though, more and more emphasis is being placed on campaigns and less is being placed on the actual outcome of the process, the candidate that wins and how they will actually do in the office they are elected for. The fact is, during campaign time, the candidate will do just that, campaign. Promises will be made and each side will in some way or other attack the other side, often times saying lies or telling only part of the story which is purposely being done to mislead the voters. The excuse given is that, “this is just part of politics.” Does that make it right? Too often, many people are listening to the candidate or those campaigning in their party and not checking the actual facts. Too often, the misleading campaign ads are taken literally. Too many people pass around false emails, edited and chopped off videos that when not seen in full become not only misleading but are used to spread lies. As a voter, a responsible voter, it is up to you to get the facts before casting your vote. One good place to start is at factcheck.org which is a nonpartisan, nonprofit “consumer advocate” for voters that aims to reduce the level of deception and confusion in U.S. politics. That is taken directly from their website. Their reports are updated regularly on all sides of politics and cover campaign ads, speeches, debates, etc. The simple fact is there are many people who vote and many people that are qualified to vote that aren’t registered. The solution to having more people making a real difference is not simply getting more people registered but getting more people educated on the voting process, how to double check the candidates and the facts and the importance on being involved both at the time of campaigns and elections but also in between times. People are always very concerned about what is going on in Washington but the concern for everyone should be what is going on around the nation, from coast to coast and with the people that live within these United States. Who is helping keep our country safe? Who is looking worldwide to see how each nation is developing their safety, energy improvements, market stability and are we moving forward at the right pace to gain ground? Who has already made a difference in education and working to develop new ideas and more opportunities for our students and not only build a better tomorrow for them but also for our teachers to have access to a better curriculum, more advanced materials, more incentives, job security and better pay? Where do we stand with other countries in international relations and communications? Who is seeing that not only are they doing what is right for their own career but more importantly what is right for the American people? Who is making sure that the America of today will be a more advanced and healthy, educated with a strong military, financially more secure and internationally respected America of tomorrow? Whether a candidate is running for Congress, Senate or the office of the President these questions should be asked. There should be an abundance of inquiries and one of the least important questions should be their political party. At the end of the day, it is clear to see how insignificant their party really is when it comes to getting things done. Getting things done has to do with working with others and the group of people that have ended up in Washington D.C. The problem right now is so much focus has been given to which party each candidate is on and which party has the majority in the House or Senate which is causing a total distraction from getting anything done in Washington and is not only hurting the country but also hurting individual Americans. Voters are also getting too caught up in casting their votes for a candidate not due to their qualifications but moreso for their party and/or being lead by false advertisements and campaigns. A leader should be able to lead and work with anyone and put their political party aside because America is made up of people from all political parties and those with no political party. A voter should be able to put aside their political party for the same reason. Those in Washington are working for EVERYONE, not just those in their party. When party is standing in the way of progress, America is the one getting hurt. America is more than a country. America is families, children, students, sick individuals, people with hopes and dreams and people that will be leaders of tomorrow. In Florida, October 4this the last day to register to vote for the November 2ndelections (some states differ). If you aren’t registered and want to take part in these elections, please register to vote. There is sure to be an abundance of campaign ads, debates and articles but remember, double check what you hear. Get the facts. Your vote represents you. The ballot you cast is private and the ability to vote is a privilege and a responsibility. Honor those that fought for that right. Campaign ads aren’t meant to educate or be fair. They are meant to win votes. For U.S. voter registration, please visit this link. For Florida voter registration, please visit this link. This entry was posted in "America is more than a country", "Voting Rights Act", America, Democrats, DNC, elections, Examiner, Fact, factcheck.org, GOP, Pledge to America, RNC, tracy solomon, Voting and tagged "America is more than a country", "Tracy Solomon", "Voting Rights Act", @tracysolomon, America, Democrats, DNC, elections, fact "factcheck.org", GOP, RNC, Voting on 10/06/2010 by Tracy L. Solomon.